Bankwest this week launches a new, bold and distinctive brand positioning called ‘Bank Less’. It is aimed at positively differentiating themselves in an increasingly homogenised industry and cynical consumer environment. Developed by bespoke WPP AUNZ agency Union, the new ‘Bank Less’ positioning is driven by the key insight that Australians do not want more ‘bank’ in their lives – just one that is fair, simple and transparent. ‘Bank Less’ will be executed across a range of channels from this week throughout OOH, press, digital and social, utilising strong headlines such as ‘Less BS. That’s right, less Bank Stuff’. It is also backed by a supporting product campaign that uses 3D animation, also developed by Union and launched in July. 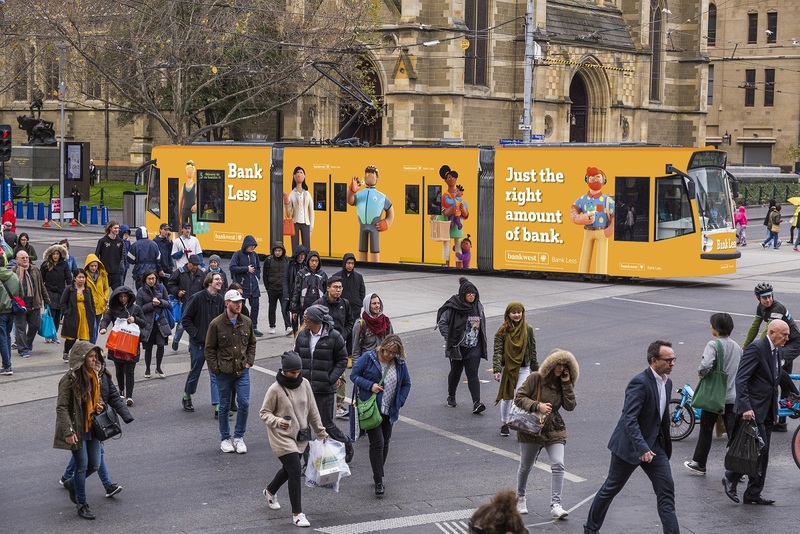 Y&R Chief Creative Officer Paul Nagy (who worked on the campaign as part of Union) said extensive consumer research was undertaken to develop a brand positioning that not only stayed true to Bankwest’s brand personality but directly addressed how Australians felt about banking. “This is not a play-it-safe brand position for Bankwest. They could have flown under the radar but Bankwest recognises that this is what people want and deserve right now from banks,” he explained. “Consumers want their bank to do what it should do, seamlessly and without complication, and play the right role in their lives – by playing a smaller one. Bankwest Customer Experience executive general manager Andrew Chanmugam said: “‘Bank Less’ was not just a campaign but a philosophy the business was already living through initiatives, products and ways of working. “Bank Less is a driving force behind everything the organisation does,” he said. “Bank Less means less complexity and less frustration for customers; it’s about assisting customers when and where they need us, as simply and seamlessly as possible.